Sailor Moon Season 1 Part 2 Review! Should You Purchase? 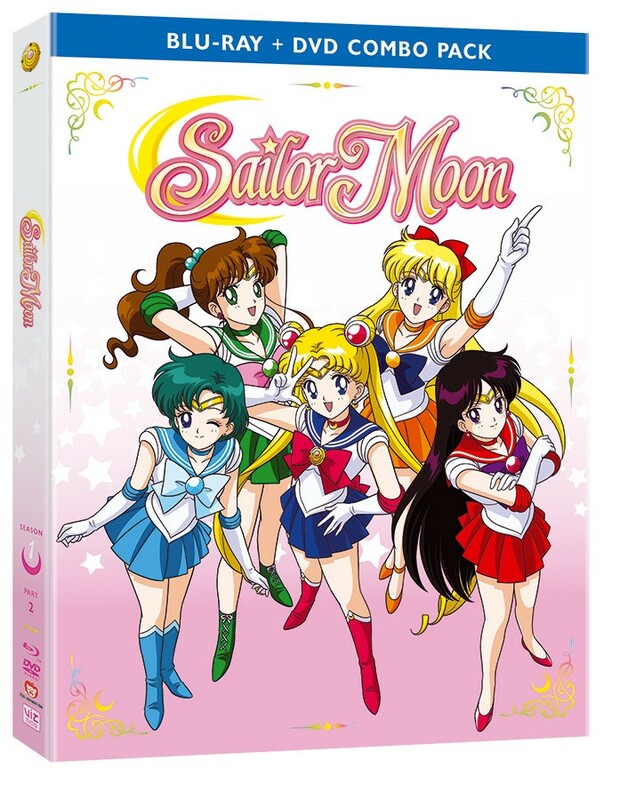 Part of the global reboot of Sailor Moon, Viz Media has been releasing Sailor Moon as dvds and blu-rays with a new, English dub that more closely follows the original Japanese ADV release. If you’re from America, this is the first time you get the chance to own Season 1 uncut and in English. 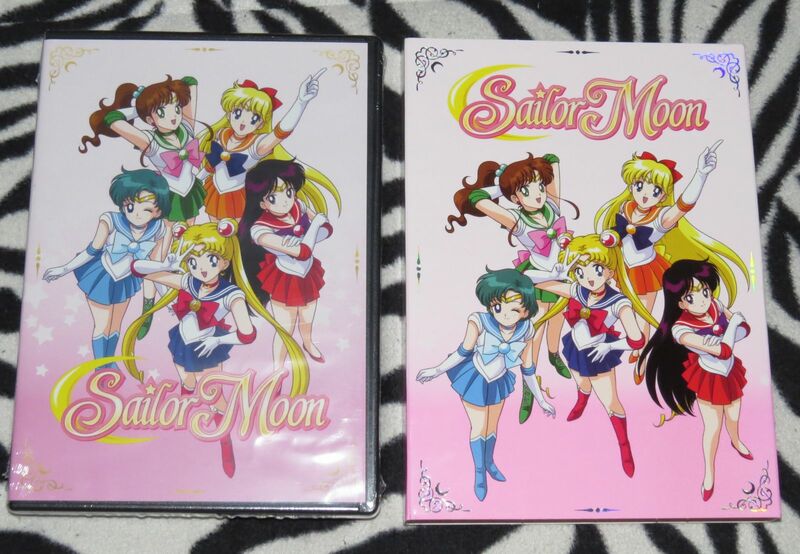 Originally, Sailor Moon was released by ADV(Japanese edition with English sub) and DiC (eviscerated English dub). Moonies who are only familiar with the DiC release may not feel at home with this new English dub since the DiC background music and Sailor Moon theme are absent and replaced by the original Japanese sound track. Reviews from Amazon seem to indicate that many Sailor Moon fans expected this to be a re-release of the original, botched English dub that they grew up with. 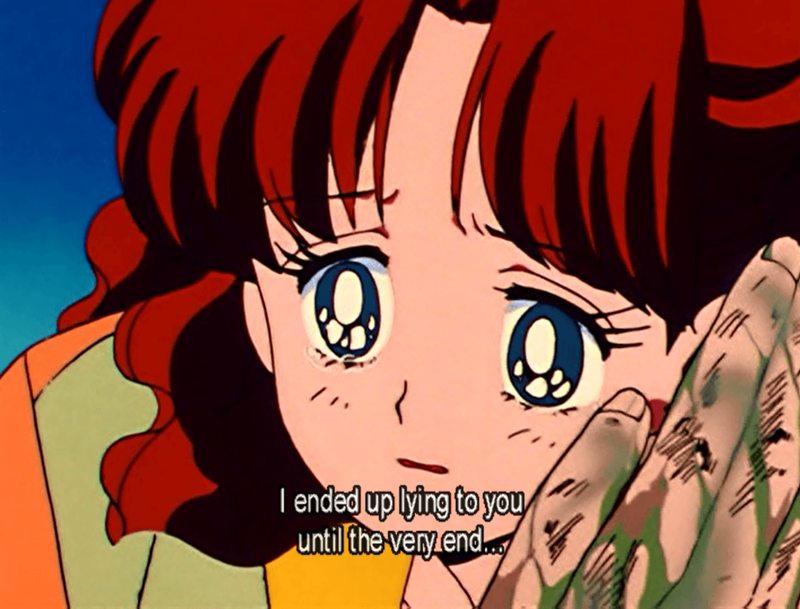 Please be aware that this English dub is more true to the version of Sailor Moon that aired in Japan. Instead of being critical, fans need to embrace this new dvd set with the understanding that they will be watching a dub that is faithful to the original… perhaps for the first time! I grew up watching the DiC Sailor Moon, but later on I went out of my way to purchase the ADV releases so I’m very intimate with the original music and story. Please note that this review is for the DVD only set, not the Blu-ray + DVD Combo Pack. The packaging certainly isn’t A+. In fact it pales in comparison to the original ADV sets and leaves a lot wanted. As you can see, it’s a basic dvd box with a thin dust-cover. The single dvd box holds 3 discs and thankfully, they’re not stacked on a spindle. I would have preferred if Viz released each season as one box set with a nice little box. Although this is common practice for Viz, it seems like a bit of a money grab since each set is priced at around $44 dollars. That makes each season $80 dollars! If you purchase from Amazon there is a bit of a discount, but you’re still stuck spending $60 dollars plus tax to get the complete season. The least they could have done was use clear dvd cases (See Tora Dora, for example) since the clear plastic would have better matched the pink artwork of Sailor Moon. I am willing to bet the price is a bit of a deterrent for some fans, but Viz has been good about promoting the sets and so I’m sure they are selling despite the fact that Funimation could have re-dubbed this show at a nicer price with the hope that Sailor Moon would go classic, resulting in $19.99 slimline box sets. Regardless, I’m grateful that any company took the initiative to provide the English speaking world with a fresh dub that pokes a little fun at Mamoru’s horrible fashion sense. 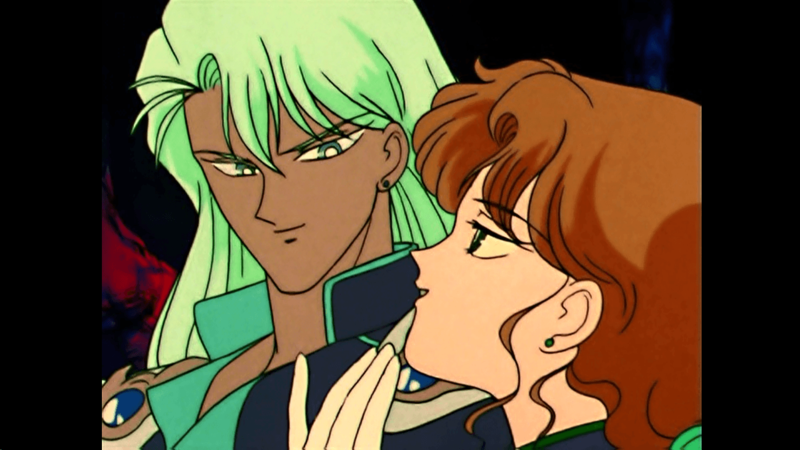 When I first watched the dubs at Otakon during Sailor Moon Day I was very hesitant to buy into the hype. I was attracted to the idea of the exclusive Sailor Moon coin and the glittery, foil printed DVD box set of the first half of Season 1 but watching the dubs on a huge, stretched out screen at Otakon did nothing for me. I just wasn’t spending that much money on episodes that I already owned in Japanese. I was not convinced… until now. The first thing you should keep in mind is that the new set displays as 480 SD in 4×3 aspect ratio. If you expected this to take up the full-screen of your shiny new HDTV, you’ll be disappointed. Get used to it! Sailor Moon was intended for an SDTV. If you needed any reason at all to purchase the Viz release, these images will give it to you. Below are screenshots I took from my ADV set and from the Viz set. Trust me! Your eyes are not playing tricks and they’re not lying to you! I am truly a convert after comparing Naru’s Tears side by side. The 2015 release looks so crisp and vibrant. The best comparison would be a child wearing glasses for the first time. S/he had no idea the world wasn’t supposed to be fuzzy and olive toned. I’ll have to admit when I first watched the Viz episodes I wasn’t truly converted. The magic happened when I decided I should dig out the ADV set just to see how much magic 2015 could work on an old show. For those who want clarification – no, Viz didn’t work miracles. You are still very much aware that you’re watching an anime that is a bit dated in style. The visuals are not in high-definition. What you do get is a crisp version of Sailor Moon in English minus the fuzziness of 1990s television. The sound quality is definitely lacking considering the major buzz behind this release is the new dub. You can hear the difference in volume between the background music and the voice acting. At low volumes, it is very difficult to hear the characters over any music that is in the background. I am not a sound engineer so I can’t provide a technical review, but I do know I have to struggle to hear the characters. I didn’t notice this issue with the first dvd, but it is definitely a problem with dvds 2 & 3. This is not a set you want to watch on your laptop with headphones because you’ll either go deaf turning the volume all the way up (the background music really is much louder than the voice track), or you won’t catch a thing if you keep the volume too low. To get a good experience, this is best watched on a television on medium volume. Overall, I am happy to have the opportunity to review this set. Spending time with the set has allowed me to change my opinion and I’ll be honest, I wasn’t expecting my opinion to change. I was convinced that I’d never need to purchase the new dvds. The sound quality is sub-par but the dub is funny and accurate. The animation has been cleaned up and given new life next to the old releases that we have grown accustomed to watching. For the first time in English, Zoisite is a real boy! 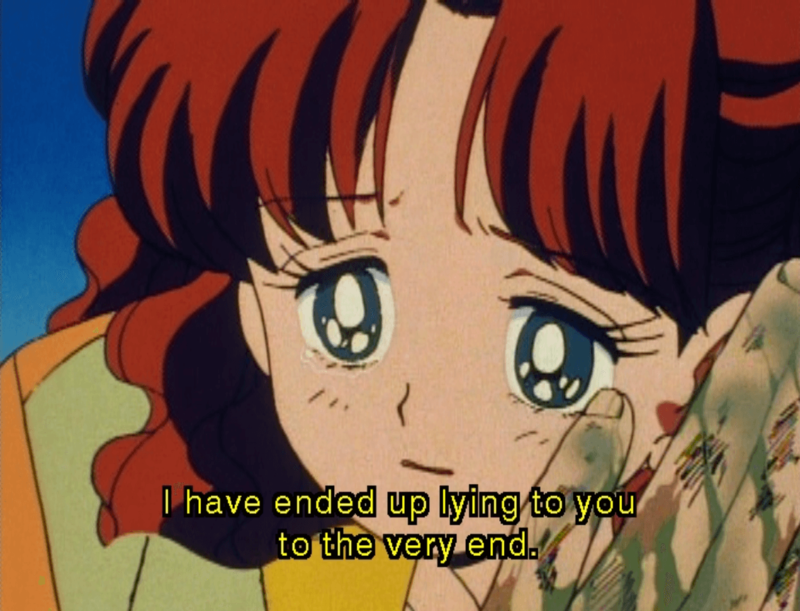 My hope is that through Viz we will finally see Sailor Stars get an official English dub. A few observations need to be made; however. If you wanted to watch this dvd set on Linux, you’re going to have a hard time. Maybe this is exclusive to my build, or even to Ubuntu, but my system couldn’t recognize the discs. The same computer had no problem playing the ADV discs. Of course, I had no problem with the Viz dvds with my Windows based laptop. There are a few other odd issues with this set – if you want to watch the subtitles with English dub, don’t bother! The English subtitles do not follow the English dubbing. For instance, a subtitle reads, “I hope you’re ready” while the voice actor is saying “This should be fun.” This occurs throughout the episodes so my guess is that the subtitles follow the Japanese but since I don’t know any Japanese I can’t tell you how accurate they are. I imagine anyone purchasing this set isn’t interested in the Japanese unless they didn’t have the opportunity to get the original Season 1 set in the 90s. I am very happy I had the opportunity to review this set. It is worth adding to any Sailor Moon collection. Expensive! For what you get I think these sets should be priced at $30. Sound quality is inconsistent. The new English dub is hard to hear over the background music. No pamphlet. For the starting retail price, I would expect at least a piece of paper detailing the names of the episodes and the run-time. Naru doesn’t sound like she’s from Brooklyn, NYC. The image quality is vastly superior. Uncut for the first time for an American audience. Forget everything you remember from the DiC dub. The music, the names, and the silly “Sailor Moon Says” are gone. The new English dub follows more closely to the original Japanese.